Runs Monday – Friday from 7:00 am until 8:45 am. ​ For more information about Before School Care please visit the webpage or contact Ms. Norward. Robyn Busko Named 2016-2017 WFE TEACHER OF THE YEAR! AU II Teacher Robyn Busko is Wake Forest Elementary's Teacher of the Year! 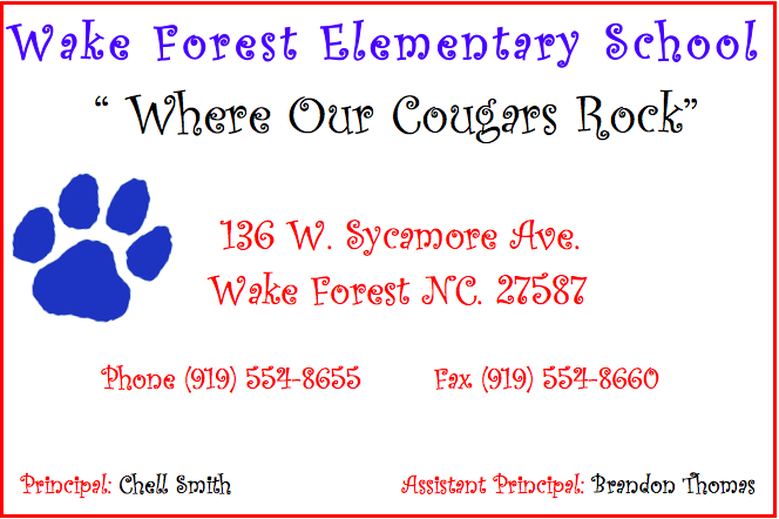 We know that she will represent Wake Forest Elementary well as she competes at the county level. Congratulations, M​rs. Busko!